Located next to the iconic Burj Khalifa, the tallest tower in the world, the Dubai Mall is one of the largest malls in the world and is about the size of 150 football fields. The mall’s façade comprises over two kilometres of bespoke curtain walling and precast panel systems. The roof was considered as the fifth elevation due to its proximity to the Burj Khalifa. It required a similar level of detailing to the façade. For this reason multiple materials and systems are utilised from skylights, standing seam cladding, tensile fabric to hydraulic retractable roof structures. Intelligent, high-performance glazing systems form the backbone of the mall’s exterior while patterned and backlit glass panels are chosen for the entrances to support the lighting schemes. 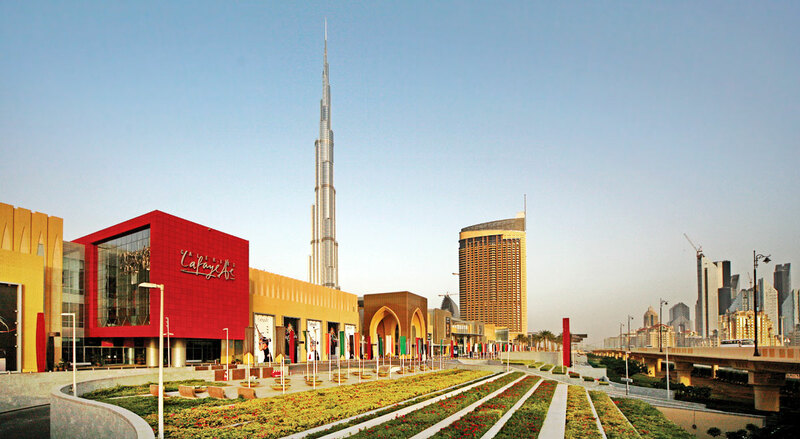 The Dubai Mall has the world’s largest acid-etched, precast façade which provides a rustic limestone appearance without the use of a paint-system. Its highly effective and long-lasting properties require minimal maintenance. Completed in 2008, Meinhardt provided civil, structural, mechanical, electrical, BMU and facade engineering services.